Chesapeake Energy’s announced $2 billion sale of its Utica Shale holdings last night prompted Moody’s Investors Service this week to consider upgrading the company’s credit. Moody’s said it was in the process of reviewing the company’s corporate family rating which is six notches below investment grade and its senior unsecured rating. 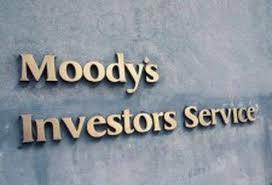 Moody’s indicated it might upgrade both scores. “Based on the planned debt reduction and other benefits of the transaction, Moody’s believes that the CFR is likely to be upgraded to B2 and senior unsecured ratings upgraded to B3, accordingly said the company. Why the review? Moody’s said it was because Chesapeake planned to use proceeds from the sale to cut debt and to develop stronger focus on the oil-rich Wyoming Powder River Basin. The move by Chesapeake caught the eye of Moody’s. The consideration by Moody’s came even though the sale of more than 900 operating wells in the Utica will definitely reduce revenue for Chesapeake.